The Cabinet has already approved the sale of 5 per cent stakes in ONGC and BHEL, and 10 per cent each in NALCO and NMDC. The government could raise Rs 22,574 crore (US $3.6 billion) from the sale of stakes in four state-run companies including Oil and Natural Gas Corp (ONGC) and National Aluminium Co (NALCO), Minister of State for Finance Jayant Sinha said on Friday. The Cabinet has already approved the sale of 5 per cent stakes in ONGC and Bharat Heavy Electricals (BHEL), and 10 per cent each in NALCO and NMDC, Sinha informed the Lok Sabha in a written reply. The expected receipts were based on share prices of these companies on March 16, taking into account a possible discount for retail investors. The minister, however, did not disclose when the government planned to sell shares in these public sector undertakings. 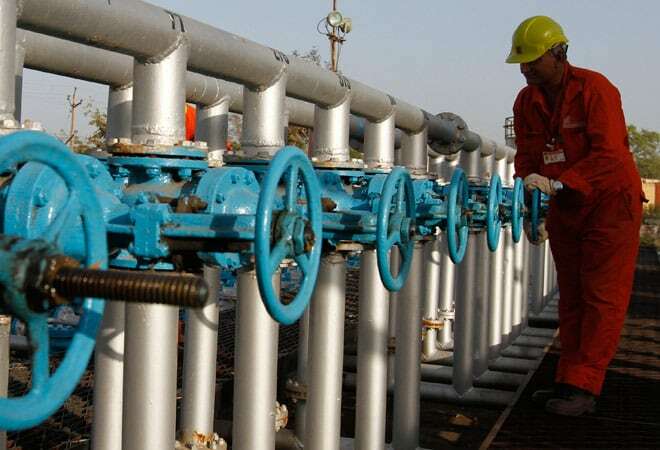 The government expects to raise Rs 13,220 crore (US $2.1 billion) from stake sale in ONGC, lower than earlier estimate of near US $3 billion, and about Rs 5,040 crore (US $806 million) from NMDC, the country's biggest iron ore producer, Sinha said. In his first full-year Budget on February 28, Finance Minister Arun Jaitley set an ambitious target of Rs 695 crore (US $11.1 billion) from share sales in the forthcoming 2015-16 financial year. During 2014-15, the government had to revise downward the divestment target in state-run and private companies by more than half against an earlier estimate of about US $10 billion.